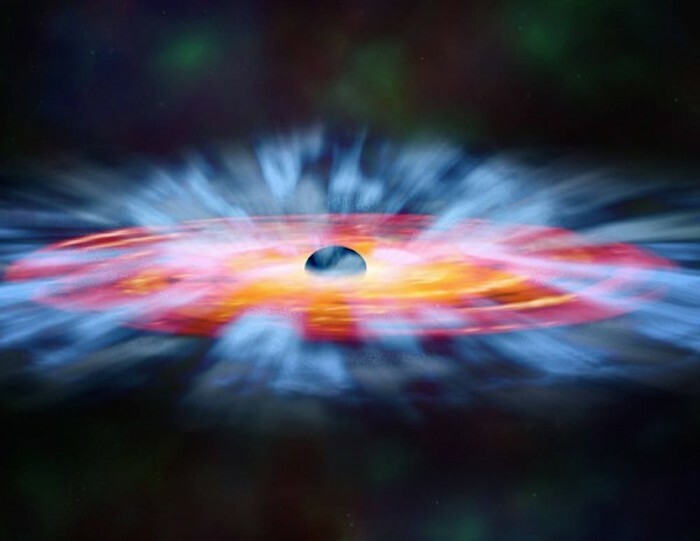 TORONTO, New research led by astrophysicists at York University has revealed the fastest winds ever seen at ultraviolet wavelengths near a supermassive black hole. Astronomers have known about the existence of quasar winds since the late 1960s. At least one in four quasars have them. Quasars are the discs of hot gas that form around supermassive black holes at the centre of massive galaxies – they are bigger than Earth’s orbit around the sun and hotter than the surface of the sun, generating enough light to be seen across the observable universe. Rogerson and his team used data from a large survey of the sky known as the Sloan Digital Sky Survey to identify new outflows from quasars. After spotting about 300 examples, they selected about 100 for further exploration, collecting data with the Gemini Observatory’s twin telescopes in Hawaii and Chile, in which Canada has a major share.